In a world that knows no shortage of real estate, it’s never been easier for people to make money in the lodging industry, partly due to VacationRentals, HomeAway, VRBO and Airbnb websites, which have redefined the meaning of holiday/vacation accommodations. Short-term renters can now book a vacation home for a lot less money than a traditional hotel would cost and this also translates into a money-making opportunity for home owners. Home rentals offer so much more than a hotel can. They have all of the amenities of your own home and are more comfortable and spacious than a room can offer. 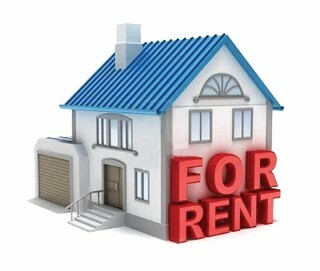 There are also companies in the area that offer property management services to their vacation rental clients. For a small percentage of the weekly rental amount they will advise you on the rent you can expect to receive, advertise your home for rent, arrange for cleaning services and collect (from the renters) and pay the state lodging tax thus eliminating these headaches for you. This particularly works out well for out of state vacation rental home owners who are unable to attend to their property on a weekly basis. Recent statistics say that nearly 60 percent of Americans were planning to book a privately owned home or apartment rather than seek hotel accommodation in 2016 and with 87 percent more likely to choose a vacation rental due to availability and easy online access; there is indeed a lot of money to be made, provided that properties meet certain conditions. Since most tourists using websites such as VacationRentals.com aren’t just looking for a place to sleep, but also for a superior travel experience, as a host you can’t simply hand your guests the keys and expect things to run smoothly on their own. Increased availability also means that short-term tenants are more choosey when considering their options, so you need to carefully prepare your home in advance and make sure it’s up to their standards. Before renting your home, inspect it from top to bottom and see which areas need your attention in terms of cleaning and repairs. The kitchen and the bathrooms should be spotless while the beds should be made up with clean linens. Whether you do it on your own or use a housecleaning service, the bottom line is your house needs a thorough cleaning before your first guests arrive. Once that’s sorted, have a look at your appliances and see if everything is functioning smoothly, to make your guests’ stay as comfortable as possible. If you’re experiencing issues with any of your home electronics, consider repairing them instead of new ones. Your house should be equipped with everything that’s necessary to make your guests have that important home-like feeling. This is also a guaranteed way to get positive reviews and repeat business on sites like HomeAway or VRBO. Therefore, you should be able to provide your short-term tenants with facilities and items such as a microwave oven, coffee maker, teapot, toaster, cleaning supplies, basic toiletries, hair dryer, remote controls, extra light bulbs, Wi-Fi access, maps etc. Don’t forget about leaving detailed written instructions that cover important information such as contact details, emergency numbers, Wi-Fi passwords, house rules, operating instructions for gadgets and appliances and so on. Let your guests know where the trash and recycling should be taken and if you want to go the extra mile, provide them with a list of local grocery stores, gas stations, and recommended restaurants - your efforts won’t go unobserved. While there are many things to take into consideration when doing short-term vacation rentals, more often than not, the experience is positive for both the hosts and their guests. As long as you use common sense and follow the industry’s best practices, you may soon be accumulating five star reviews.